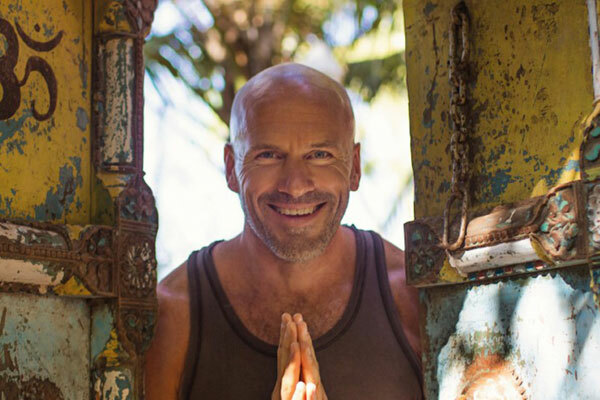 Chris Nelson is the founder of Ashiyana, a yoga retreat in Goa, India; and founder of SOAR. Real happiness, as opposed to the temporary blip of calm and happiness yielded by ‘things’. It’s when I have a calm mind. It’s not about what I’m doing, but rather about being inwardly connected, sensing my breath and my own presence of being. This is not a place that I’ve “reached” though, it is, in my experience, an endless quest to find the inner world more interesting than the outer world. So if there is anything to overcome, it’s the endless seduction of my attention by outer stimuli. This is a tool that I use throughout the day to calm my mind and relax. Often, I simply spontaneously pay attention to my breath – “O”. How can your book and the app help people on the path to positive thinking and happiness? Self-responsibility – SOAR’s UX has been created with the intention of supporting the user in making their own choices as to how they evolve their wellbeing. Holistic – The SOAR App has been designed according to Chris Nelson’s book, “Wake Up and SOAR”, which offers three keys to master your wellbeing – RELAX (learn to calm your mind), NURTURE (create a supportive lifestyle) and FLY (pursue your dreams and heartfelt desires). These keys embrace all levels of a user’s being – mind, body and spirit. Personalised – SOAR’s cutting-edge AI (which includes voice-activation) means that the user’s feed within SOAR Cycle ™ is unique and personalised to each user. According to how they answer the pushed questions, and use the app in general, the AI will generate their wellbeing index, feed and notifications. This means that each user will always have a completely personalized journey. How can one stay positive in challenging circumstances? Ultimately, everything that we are truly searching for comes down to one thing, or, is yielded by just one thing – peace of mind.